Island hopping in the Philippines. Photos by Marcy Fitzpatrick. A honeymoon that has everything — and plenty of nothing, too. Fathom adventurer Marcy Fitzpatrick recounts her island-hopping romp around the Philippines, where joy meets serenity on barely-inhabited parcels of sand. PHILIPPINES – The Philippines is home to over 7,000 islands, 4,000 of which are inhabited. I made it to two of them. The 36-hour journey consisted of a layover in Tokyo, a two-hour tarmac delay in Manila, a five-hour van ride, and a twenty-minute motorbike lift to a dead end road that forced us to walk the remaining half-kilometer to our hotel. Upon arrival, I was fairly certain my bladder would explode. As I ran into the bathroom of our rental cottage, I stopped, staring at the toilet. A ceramic bowl with no top. To its right, a bucket of water and a large measuring cup floating on the top. Welcome, honeymooners. Typically, my husband and I base our travels around low-cost airfare and a desire to explore a country we’ve never visited. 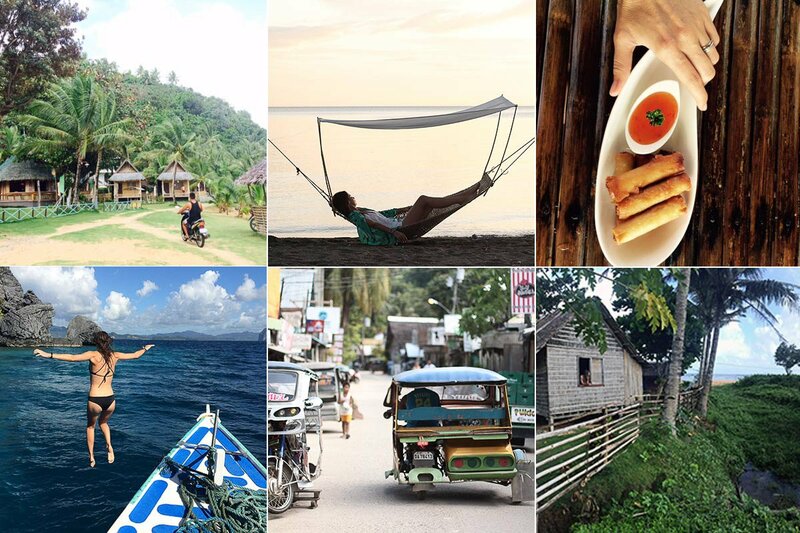 Posessing little knowledge of the thousands of Philippine islands, we took to searching hashtags and Instagram accounts to find iconic photos of places to visit. We did not book our island-hopping tickets in advance, opting instead for spontaneity. Who knew who we would meet along the way and what we would learn from them? We began our two-week journey on the island of Palawan — hands-down the most beautiful island we visited. Ancient limestone cliffs tower over crystal clear, blue-green waters, leading bamboo outrigger boats into lagoons and hidden coves. A world-class spot for divers, much of the waters around Palawan are marine reserves, giving rise to abundant coral reefs. The northern town of El Nido is primarily tourist-driven. The main street in town is overflowing with motorized tricycles offering to take you to nearby white sand beaches for the day and boat operators filling up their tours each morning. Chill and easy. Photo courtesy of Spin Hostel. After speaking with a few travelers, we learned that some destinations like Boracay or Malapascua might not be worth the trip from Palawan after already having witnessed the scenery of El Nido. So we began researching other islands to visit. Note: The Philippine islands are spread out. Not only are they spread out; some of them are massive. (Palawan itself makes for a fifteen-hour drive from north to south.) The methods of transportation are fairly limited: motorbike, van, ferry, and airplane. With over 7,000 islands, having only 30 domestic airports is pretty limiting. Therefore, each flight is typically followed by a four to eight hour "air-conditioned bus" ride to a final destination. Claustrophobics be warned: This "bus" is usually an extended cab van with fourteen seats crammed into three rows. Be sure to snag a spot near a window. We found WiFi at a local bar with a beautiful sunset view and searched for flights with fresh watermelon cocktails in hand. The week prior, we noticed flights from Palawan to Cebu were around 2,000 pesos (USD $40). Now, they were showing up at close to three times that amount, and what was worse, there was only one flight that week. We asked the bartender if he knew why and he handed us the local newspaper. It appeared we planned our honeymoon at the same time world leaders, including Barack Obama, would be visiting for the annual Asian Pacific Energy Conference in Manila, shutting down the international airport for three days. 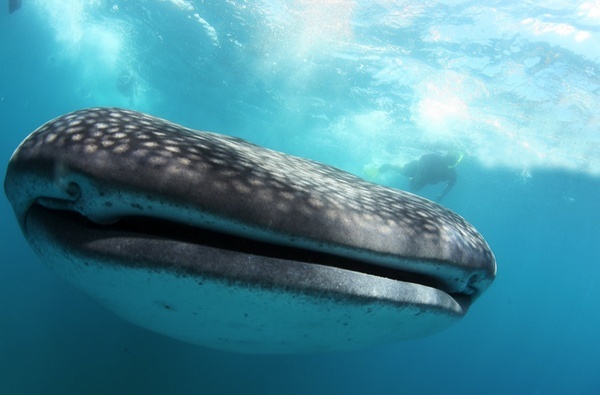 Our existing plans to visit the islands of Cebu and Siargao would need to be changed. So we found the next flight out of Palawan and headed to an island we hadn’t heard much about: Catanduanes. I have never seen a more rural and sustainable area than that of Baras, Catanduanes. We were the only non-Filipinos disembarking the cargo ferry that took us four hours across the Lagonoy Gulf. After a few rounds of price haggling, we found a local motor-tricycle to take us 60 kilometers to the secluded surfing beach of Puraran. There were seven total guests at Puraran Beach Resort, one of three family owned resorts lining the half-mile stretch of beach. We spent our mornings making instant coffee from Nestle packets while eating traditional Filipino breakfasts of eggs and rice or fresh mango smoothies. We spent the afternoons laying in hammocks, reading, and catching up on sleep. As the winds died down, we watched the local men wade into the ocean with wooden goggles, flip-flops, and spears — a term used loosely to describe a mass of driftwood, radiator belts, and old car antennas rigged together — catching small fish under rocks. Dinner was our choice of Filipino noodle or rice dishes. I repeatedly ordered the pancit bihon — an amazing blend of thin noodles, homegrown vegetables, and chicken. Dive in. Photo courtesy of Kawasan Falls. We took to exploring the island. Borrowing a motorbike from camp, we set off to find the nearby waterfalls. As we passed through local villages, we watched farmers tend to the rice terraces and banana trees that covered the green countryside. Mothers laid rice out on burlap sacks in the sun to rid them of bugs. As we drove past, school children in uniform walking along the dirt roads would laugh, wave, and shout "Hey, man!" and "Wow, dude!" I came to learn that this was some of the only English they had picked up from visiting surfers, likely the only tourists who even came to Catanduanes. The kind smiles from locals, simple and sustainable living, and untouched beauty of Baras was something I never could have experienced looking up Philippine culture online or scrolling through Instagram images. It was something I had to travel 36 hours to feel and see. It was something I had to step outside of my comfort zone (flushing toilets, air-conditioning) to appreciate. The islands of the Philippines are a third-world paradise of natural beauty and culture. I suspect next time I will go back and see more than just two of them. Underwater locals. Photo courtesy of Elysia Beach Resort. 1. Watermelon whisky cocktails at sunset at Makulay Lodge(El Nido, Palawan). 2. Posh hostel living. Shared or private rooms with plush amenities at Spin Designer Hostel (El Nido, Palawan). 3. Dive tours around Coron Bay, complete with grilled squid and eggplant lunch at Palawan Divers (El Nido, Palawan). 4. Tranquil beach cabins with excellent local cuisine and kayak excursions at Tapik Beach Park and Guest House (Sibaltan, Palawan). 5. World-class surf and seclusion with a taste of adventurous exploring at Majestic Puraran Beach(Baras, Catanduanes). 6. Whale shark tours and oceanfront hammocks at Elysia Beach Resort (Donsol, Sorsogon). 7. One of the most popular dive sites in the country. A two-hour boat ride to the 13-square-mile coral reef system at Apo Reef Natural Park (Mindoro). 8. 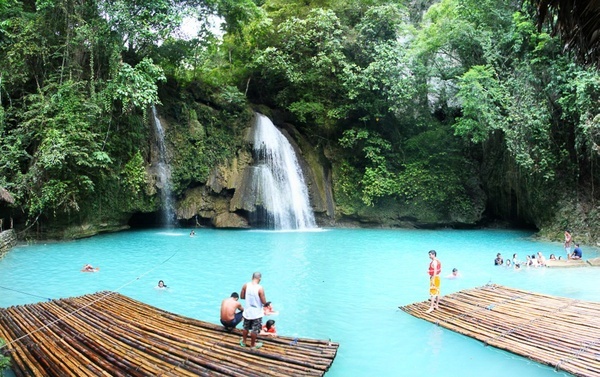 Home to an iconic image of mountain spring waterfalls and crystal-clear lagoons on the central island of Cebuat Kawasan Falls (Moalboal, Cebu). 9. The 2,000-year-old rice terraces recently declared a UNESCO World Heritage Site. Reachable only from Manila via eight-hour van ride at Banaue Rice Terraces (Northern Luzon). Marcy left her publicity job in Los Angeles for the beaches of Puerto Rico, where she helps run a retail store and design house. She travels for the beginnings.